In nature creatures use mimicry to mimic the textures, colors, and shape of others be that to camouflage into the surroundings or mirror a toxic relative. Within mimicry there are three parties involved the model, the imitator, and the dupe states photographer Seb Janiak. 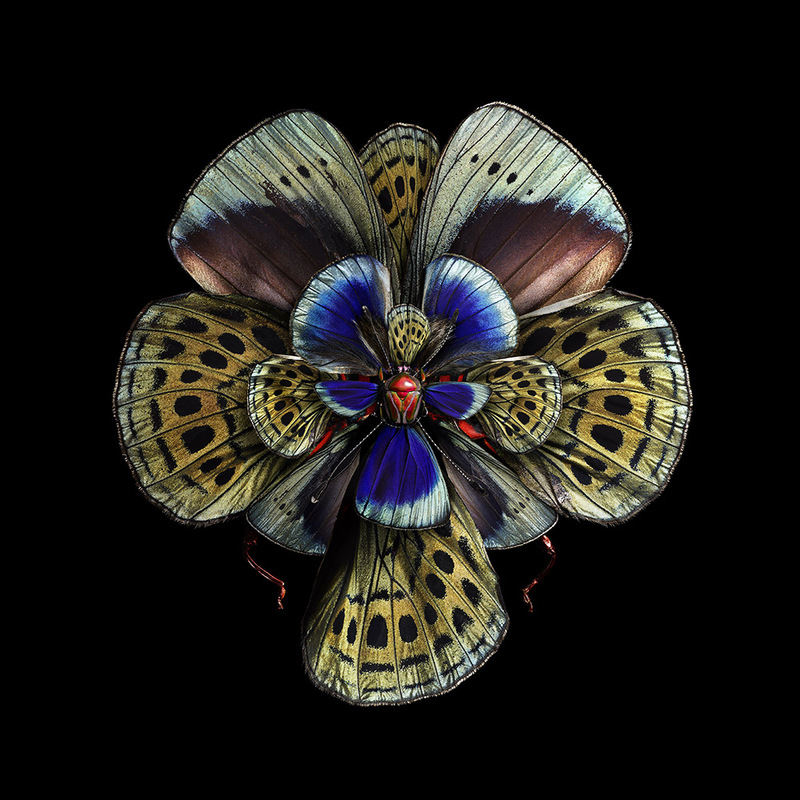 In his latest project, Mimesis, Seb has become intrigued with this idea, creating his own mimicry incidents through high resolution photographs of insect wings. 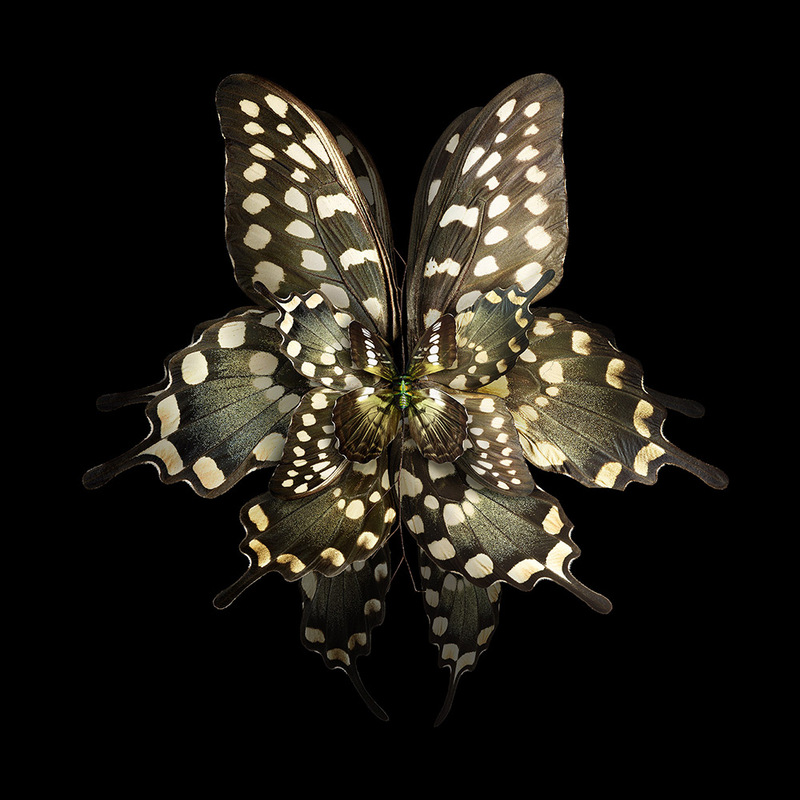 He scouts old taxidermy and antique shops for insect wings and once a perfect specimen is found he photographs them, later to combine the images digitally in the form of a flower. I love the concept of insect wings becoming a flower with the notion of insects being the ones that pollinate flowers, adding two layers onto mimicry.